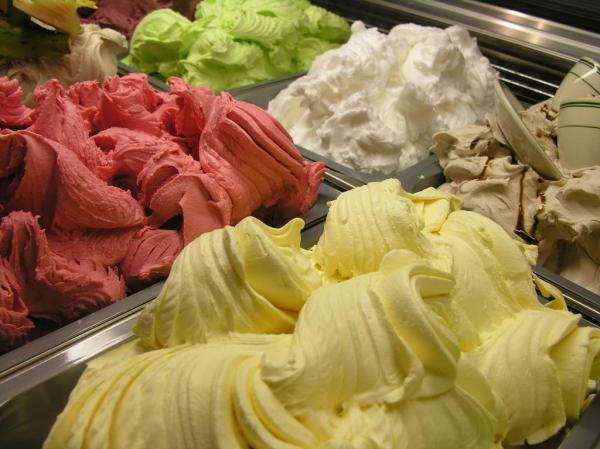 Recently, Vimbly assigned me the delicious, oh so delicious, task of finding the the best gelato making class in NYC. Searching far and wide from Little Italy to Arthur Avenue, I ended up loving this Gelato Making Class at Mia Chef Gelateria. To preface, before this experience, my Italian culinary skills began and ended at dumping a pint of Prego over semi-stiff rigatoni. And that hasnâ€™t changed. Even though learning the gelato making process has opened my eyes to a unique method of cooking, much of the information retained is completely inapplicable to any DIY kitchen. I say this because, firstly, not many people own a $20,000 machine to simplify the gelato making. Secondly, many of the ingredients we used arenâ€™t typically found in a normal household. Maybe if we traveled to Sicily, these sugars and flavors are more readily available. Even still, this class was, without a doubt, my favorite. Walking into the basement of Mia Chef Gelateria, I garnered a feeling of controlled nervousness. I knew I probably wasnâ€™t â€œon parâ€ with other students in the class, and I was slightly fearful about my inability to accomplish, well, anything in a kitchen. Upon arrival, Chef Jason greeted the class and led us through gelato sampling. If thereâ€™s any way to squeeze the nerves out of your system, gelato definitely does the trick. We tried a variety of flavors from simple chocolates, fruity berry-filled blasts, and even Capâ€™n Crunch gelato. Yes, the Capâ€™n made an appearance, and he, honestly, was probably my favorite sample. It felt as though I were eating breakfast and subtly returned me to those childhood mornings watching Doug and devouring a box of Peanut Butter Crunch. During this process, Chef Jason led us through the ins and outs of gelato, how to distinguish good gelato from bad gelato (the answer isnâ€™t â€œcoconut.â€), and the ingredients that compose delicious gelato (the answer isnâ€™t â€œonly chocolate and no coconut.â€). I found the presentation profound because I initially thought perceptions of â€œgoodâ€ and â€œbadâ€ were strictly opinion, taste based, i.e. no coconut. After the tasting, class began. And the class was a ton of fun. When we got to our stations, all of the ingredients were laid out on the table in front of us, and we were handed an instruction sheet on how to mix it all together. Using this massive machine, we timed and integrated the ingredients. Combining such strong forces, each group produced four different gelatos. FOUR! This may sound like a lot, but, when there seems to be an endless array of gelato types, itâ€™s actually quite hard to choose. I decided to go with double chocolate, cookies and cream, something with tequila in it, and stracciatella (vanilla with chocolate shavings). All of them turned out stunningly except for the tequila-based gelato. Iâ€™m guessing it didnâ€™t mix properly...or maybe I shouldnâ€™t have been trying to drink tequila with a hint of gelato. Whatever it may be, it still didnâ€™t turn out bad per se, just not as delicious as the others. Overall, the gelato was fantastic, but I canâ€™t say it was the best Iâ€™ve ever had. The title of that goes to a little shop in Sicily I fondly remember from when I was twelve years old. Damn, was it good. But still, you won't taste much better gelato on this side of the pond. 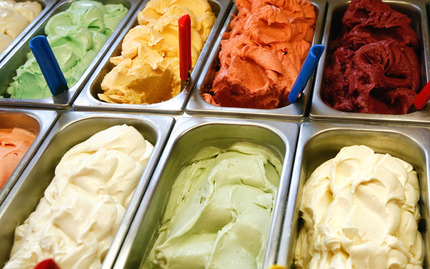 The high quality ingredients apologize for any fault in the gelato making process. At the end of class and tasting our creations, we got to leave with a ton of gelato and a bigger booty. Seriously, I have four pints of gelato in my freezer...and I find sitting less bony. The class itself is essentially worth four pints of gelato. Plus, you get to make it! Crazy good deal for an intimate (there were around ten students) two hour class.